Finalists in the prestigious CNN MultiChoice African Journalist 2013 Competition were announced yesterday, July 15th by Ferial Haffajee, Chair of the independent judging panel. The winners of the competition will be announced at an Award Ceremony and Gala Evening in Cape Town, South Africa, on Saturday 12 October. The host for the evening is Isha Sesay, host of CNN International’s ‘NewsCenter’. An all-expenses paid four day programme of workshops, media forums, networking has been set up for the finalists during the run up to the award ceremony on 12 October 2013. 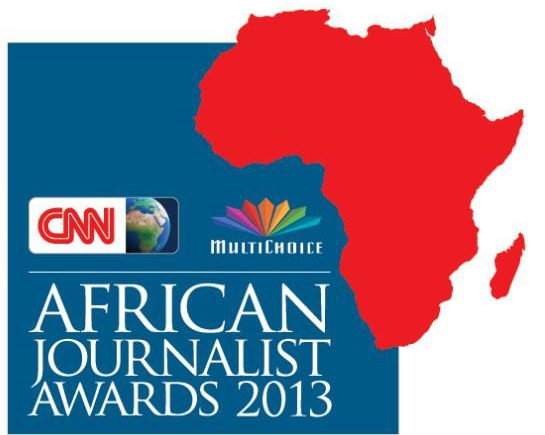 To enter the CNN MultiChoice African Journalist 2013 competition the journalist must have been an African national and have worked on the continent for African owned, or headquartered, media organisations that produced a printed publication or broadcast through an electronic medium (television broadcaster, radio station or website) primarily targeted at and received by an African audience.